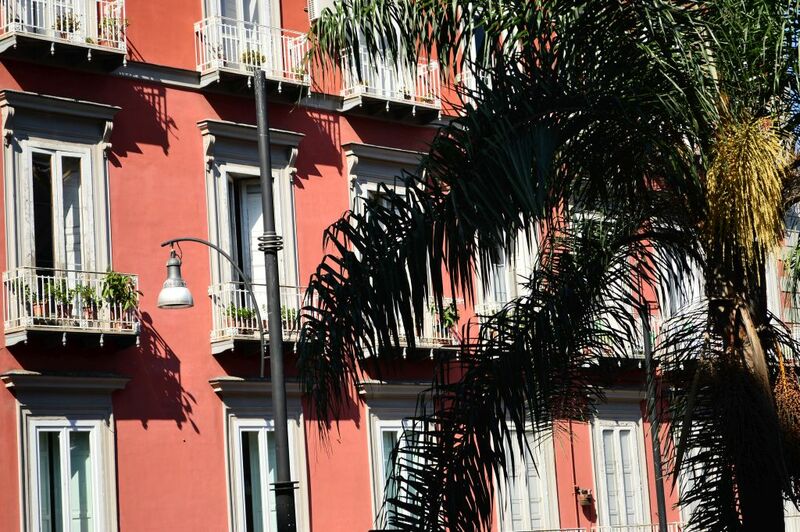 I don’t think I have ever visited a city that people have such drastically polar opinions about as Naples: for some, this is one of the most beautiful cities not only in Italy, but in entire Europe, while for some, the city is simply not their cup of tea. 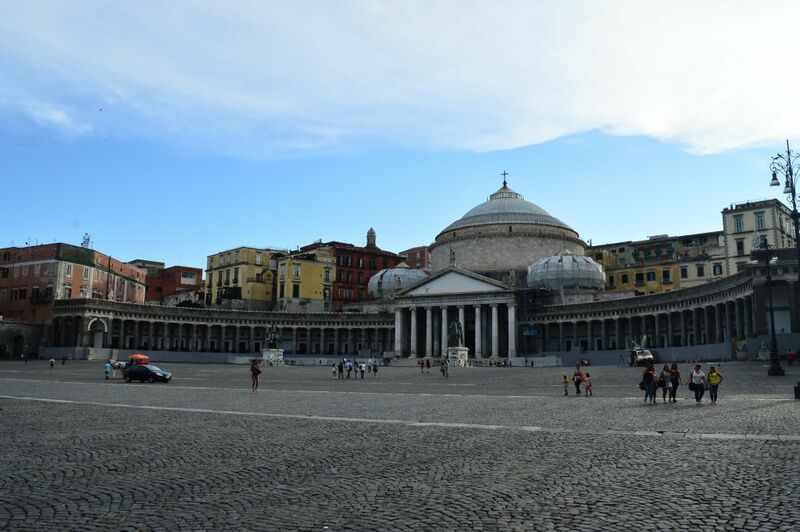 While everyone, of course, has a right to their opinion, it seems that people who don’t like Naples are extremely strict in their judgments, accusing the city of being dangerous, dirty, soulless or boring. 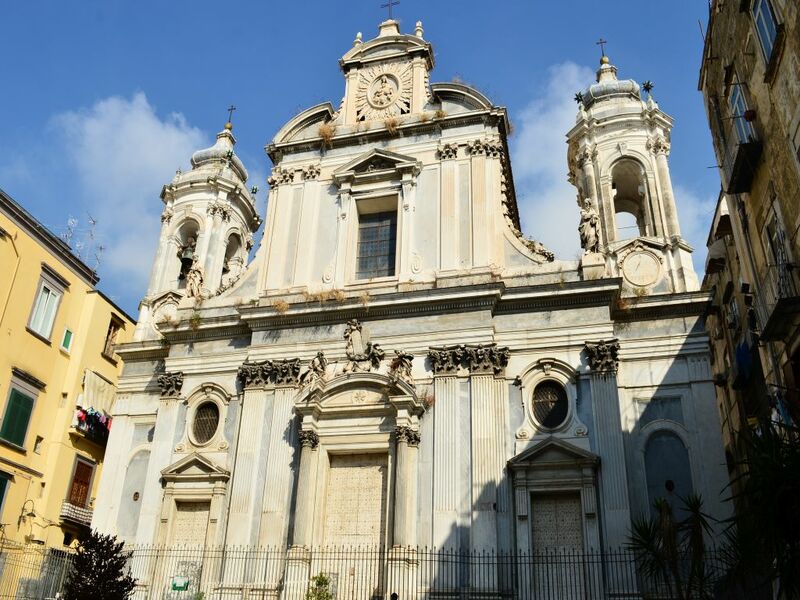 Having been aware of such opinions, I was a bit weary upon visiting the city, expecting something to happen there that will forever influence my opinion of Naples and result in me becoming one of these people trashing Naples to everyone who would listen. 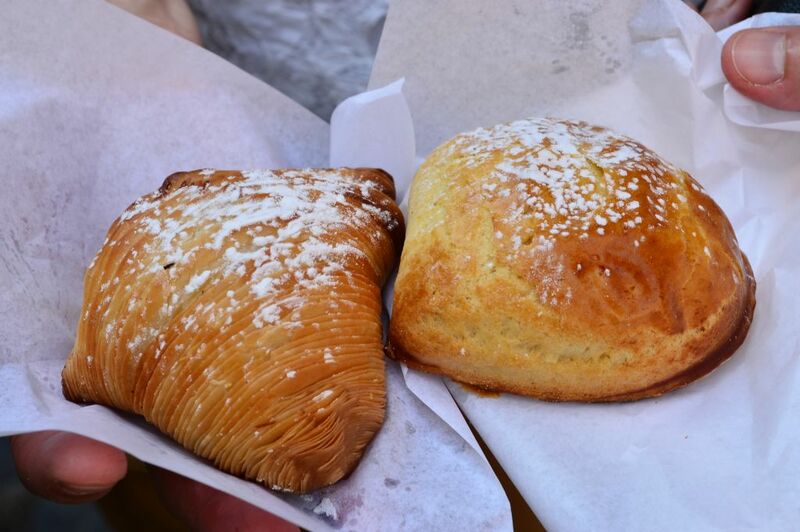 Luckilly, Naples proved me wrong – in the best, most majestic way possible. My fears we not only unjustified, but made me feel silly, slightly ashamed of my expectations and a bit angry at everyone who tried to ruin for me the image of this fantastic, fascinating city. It is the south of Italy, and we have all heard of the Neapolitan Mafia. Of course that the silly mind roams free and you imagine shady mob activities as seen in mafia movies happening in all corners of the city, with cliché-looking individuals in suits and dark sunglasses collecting debts or maybe kidnapping clueless tourists for ransom, all with the acoustic background of The Godfather’s soundtrack. You shouldn’t be afraid in Naples. It is huge, cosmopolitan and full of so many different people that you must realize that you are in no danger of anything out of ordinary happening to you. In the several days that we have spent exploring the city, we had no unpleasant experiences: no one attacked us, no one stole our bags or cameras while driving by us on a Vespa, our car didn’t get stolen and we weren’t involved in a traffic accident. Of course, you may say that we got lucky, but I honestly believe that you are in no greater danger of having something unpleasant happen to you in Naples than in any other large European city. In fact, it seems that people of Naples are going around minding their own business, not paying much attention to anyone else, taking care of their own affairs, drinking espressos in their favorite cafes, eating their beloved pizza on the go, communicating with friends and acquaintances in their melodic dialect. Everyone we came into contact with were polite and friendly, going out of their way to help us find our way around the city and greetings us with smiles. In the 00’s, the image of Naples overflown with garbage that was not collected for days travelled the world. Problems with waste management have been attributed to the activity of the organized crime network Camorra that operates in the city and the entire region of Campania and that created a lucrative business in the municipal waste disposal business. Although the local and state government tried actively to solve the problem that did much to destroy the touristic image of Naples, but also presented great health risk for its citizens, and although the search for solution even crossed country borders, resulting in the city waste being transferred to the Netherlands, the reputation of Naples as a dirty city full of garbage was almost instantly rooted in minds of many potential visitors. I was really interested to see if and how this problem, still not completely resolved, influenced the everyday life of the city and partly feared expecting to see piles of garbage on the streets. 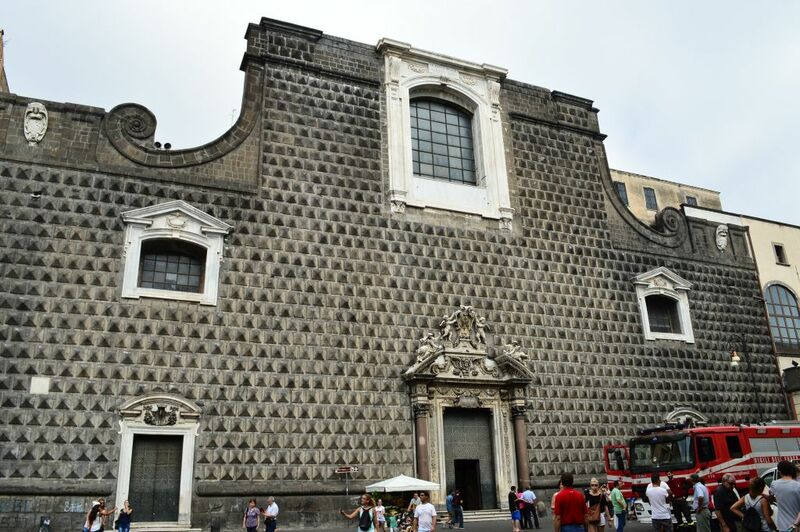 But Naples proved me wrong. 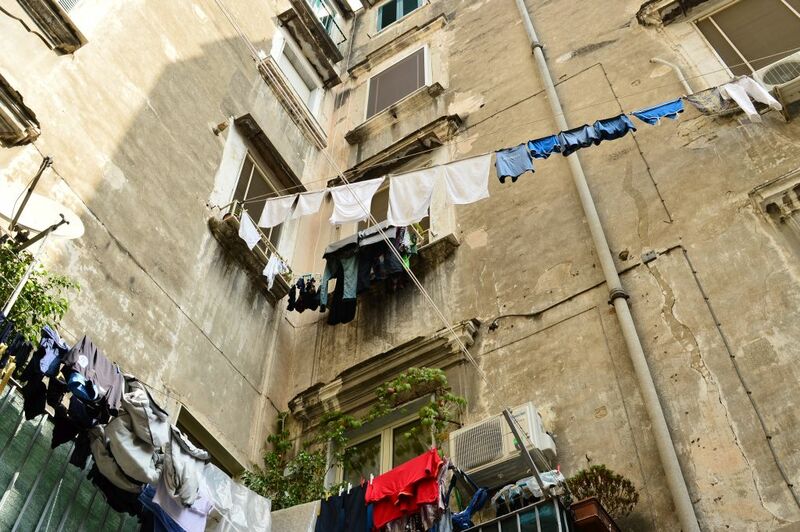 While it is not the cleanest city in Europe, to call Naples dirty is a dramatic exaggeration that is, honestly, very offensive to the city. Narrow streets of the historic center, largest in Europe, are almost completely waste-free and it is really lovely to see how the city is dealing with its problem, trying hard to clear its reputation by meticulously taking care of its palaces, grand churches, public parks and atmospheric streets. Out of all negative things that I have read or heard about Naples, the most bizzare one was that Naples is not beautiful. Or that it is not interesting. The city’s old part, bustling with life and chatter of people, full of buzzing Vespas, with air filled with the smell of freshly baked pizza (that was invented here), pastry specialties such as sfogliatelle and strong coffe, combined with the fresh smell of laundry drying in the air, is a complex maze of streets and small squares that you don’t mind getting lost in. Wherever you go, there is something to see – not a strange thing in a city proud of its 2800 years of history. From medieval castles such as Castel Nuovo (Maschio Angioino) to Castel dell’Ovo, to more churches than you can count (according to some sources, Naples has 448 historical churches, making it one of the most Catholic cities in the world in terms of the number of places of worship), beautiful town palaces and open piazzas such as Naples’ main square Piazza del Plebiscito, the city has wonders to satisfy all tastes. 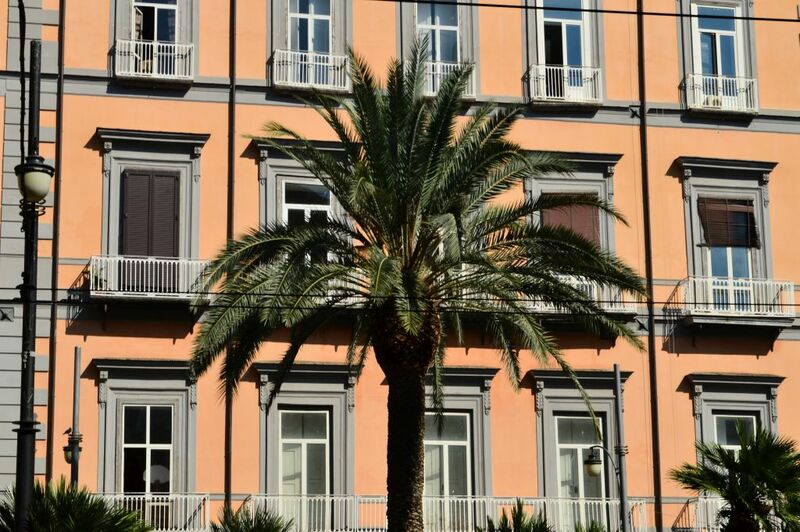 Even the Naples’ streets are immensely interesting and lively. 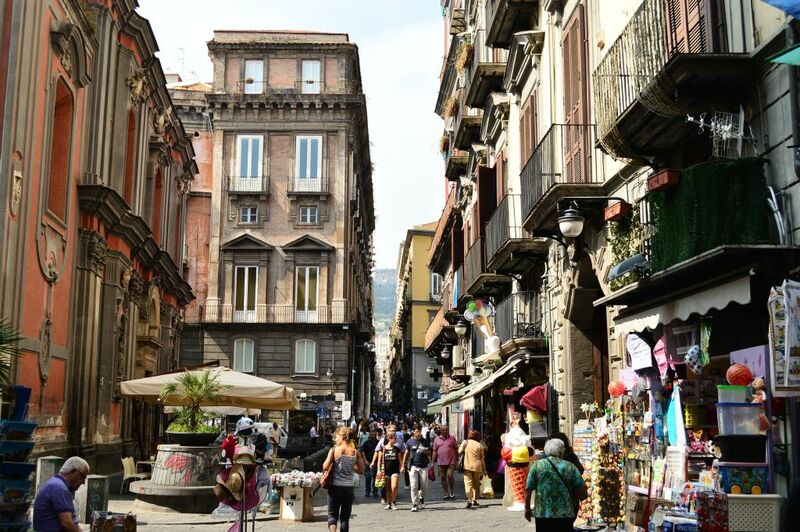 Spaccanapoli is a long narrow street that passes through the historic center of the city and seemingly splits it in two (which is why the name of the street literally means “Napoli splitter”). This is the heart of the city, and the place where the majority of sights are located, as well as a number of cafes, shops and most famous food places. 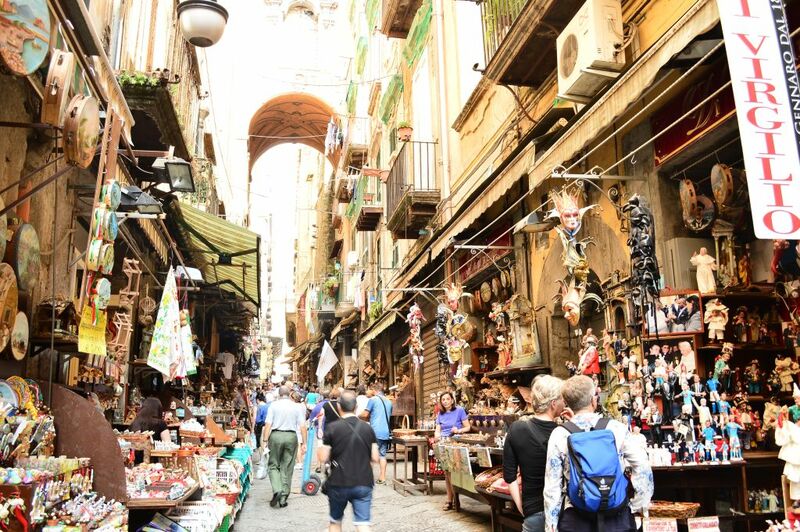 Another gem of the old Naples is Via San Gregorio Armeno, a busy, lively street famous for its numerous shops selling nativity figurines (presepi). 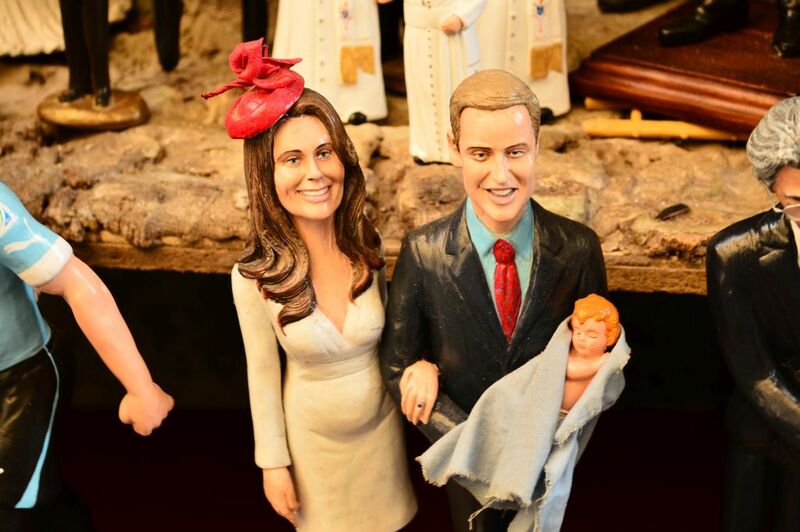 There are so many different types of figurines and scenes on offer that they could please even the most demanding shoppers, and styles ranging from traditional ones to more modern and topical ones. 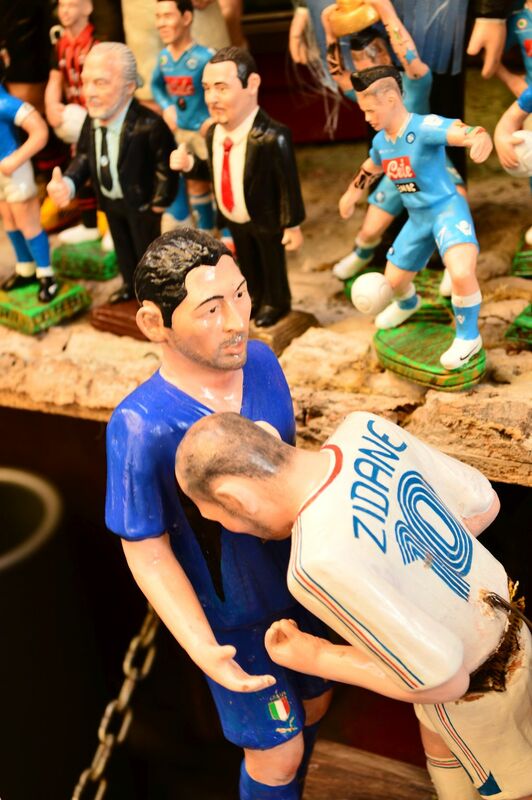 For example, if you want, you can choose to buy hand-made figurines representing Berlusconi, Brad and Angelina, the Royal Family or Zidane head-butting Materazzi. 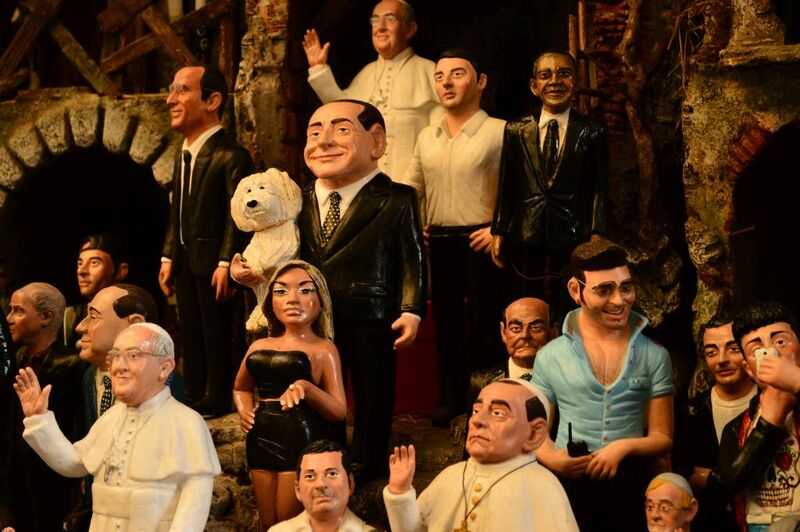 It is such a joy to walk down this street, admiring the craftsmanship and details of the figurines and laughing at the creativity and satire manifested through some of them. 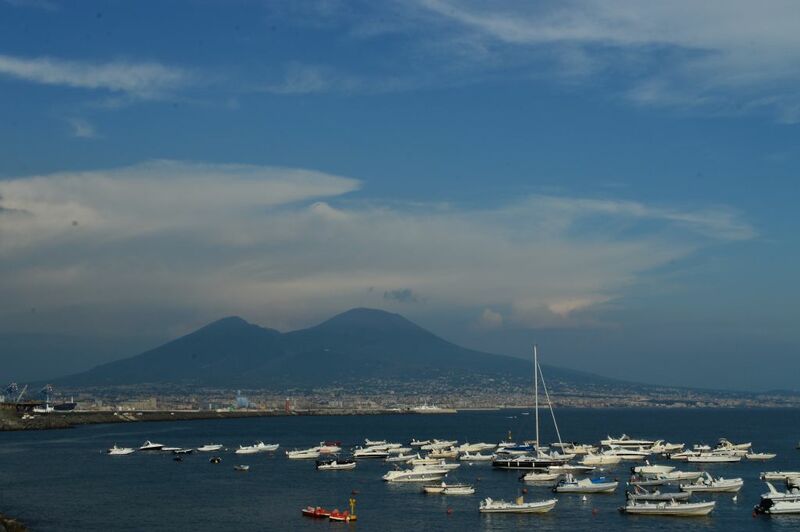 When the culture and the history overwhelm you, you can take a relaxed stroll down the city’s Lungomare, taking in the sea and the sun or simply stare in awe at the Vesuvius, the dramatic and majestic volcano on the other side of the bay that, in a way, holds the fate of the entire city in its hands. 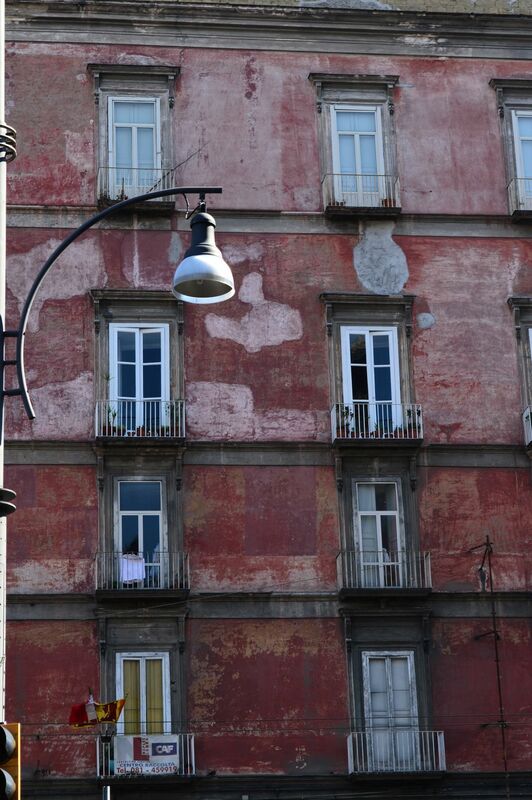 Naples is an overwhelming city. It attacks all your senses with its history, its sense of danger and urgency, its culture and the way of life. It stubbornly fights all of your misconceptions and shows itself as a majestic, distinct city, making you feel silly that you ever doubted its ability to dazzle you. The tired cliché “you love it or you hate it” feels true in this case, although I find it hard to believe that there is someone out there who does not instantly fall in love with Naples or fails to find at least one (if not a hundred and one) awe-inducing things in this crazy, exciting, vibrant city. Nice post. 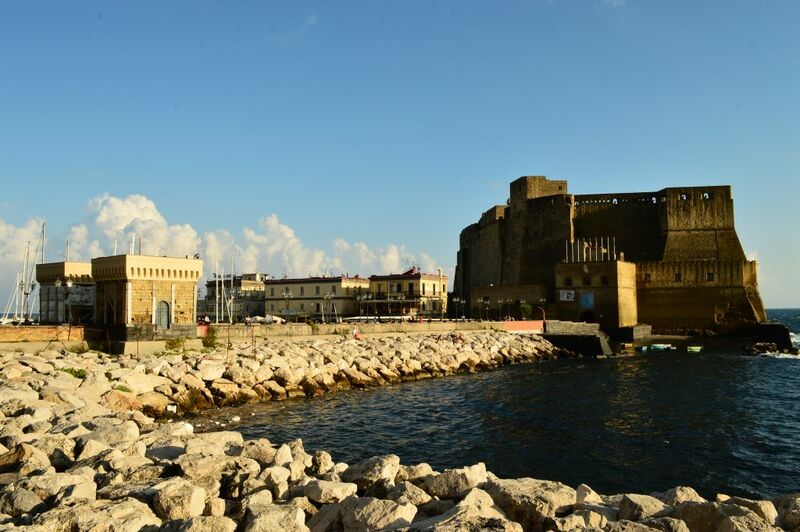 Too many travellers write Naples off before they arrive. It is the least Americanised city in Europe and hence takes some getting used too. Looks like you made the effort. Thank you for your comment. I am so happy I got the chance to visit the city and to have all my misconceptions and prejudices shattered. I really admire how true to itself the city is and how it feels no need to prove anything to anyone, it’s like a breath of fresh air!